When a great writer who has revolutionized literature and language dies, it tends to be under plain, ordinary circumstances, maybe from a common illness or old age. Their deaths are widely reported in the media and accompanied by outbursts of respect and grief by their many devoted fans. However, every now and then, some notable poet or novelist disappears or dies under circumstances so strange and mysterious that nobody can say with certainty what exactly happened. Although far less-known than contemporaries like John Berryman and Robert Lowell, the poet Weldon Kees is considered to have been one of the best of his generation, with a cult following and admiration by such figures as esteemed literary critic Harold Bloom and poet laureate Joseph Brodsky. One of his admirers, the poet Donald Justice, remarked that “Kees is original in one of the few ways that matter: he speaks to us in a voice or, rather, in a particular tone of voice which we have never heard before.” In addition to poetry, Kees had a wide number of other interests, also working as a painter, jazz pianist, filmmaker, critic, and short story writer. In the early 1950s, his wife Amy began to become a paranoid alcoholic. Kees got her to check into a psychiatric ward, but she left after three weeks, and the couple then separated and divorced. He moved into a small apartment by himself and took to living the life of a bachelor again, but this seemed not to have made him feel any better. 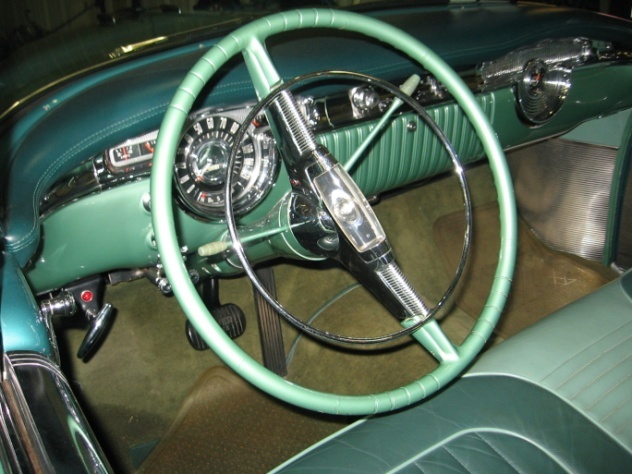 On July 19, 1955, police found his car with the keys in the ignition on the north side of the Golden Gate Bridge. A search of his apartment yielded no clues, aside from the discovery that his wallet, watch, and sleeping bag were also gone. The day before, his friend Janet Richards reported that he had contemplated going to Mexico. Kees, at any rate, has not officially been seen since, although there have been reports of him in New Orleans and Mexico. The Chilean poet Pablo Neruda, born Ricardo Eliecer Netyali Reyes Basoalto, skyrocketed to stardom with his 1924 collection Twenty Love Poems and a Song of Despair, published when he was only 19 years old. In 1927, Neruda became a diplomat, moving and working all across the world. He was working in Spain during the Spanish Civil War, which left a deep impression on him; he was especially devastated by the death of his friend, Federico Garcia Lorca. In 1945, after years of openly praising Joseph Stalin and communism, he joined Chile’s Communist Party. He continued to write prolifically over the next three decades and further devoted himself to the left-wing causes of the day, such as opposing the Vietnam War and supporting and serving the socialist Salvador Allende’s government during his 1970–73 presidency. Allende’s government was overthrown by a right-wing coup led by Augusto Pinochet in 1973, while Neruda was suffering from prostate cancer. 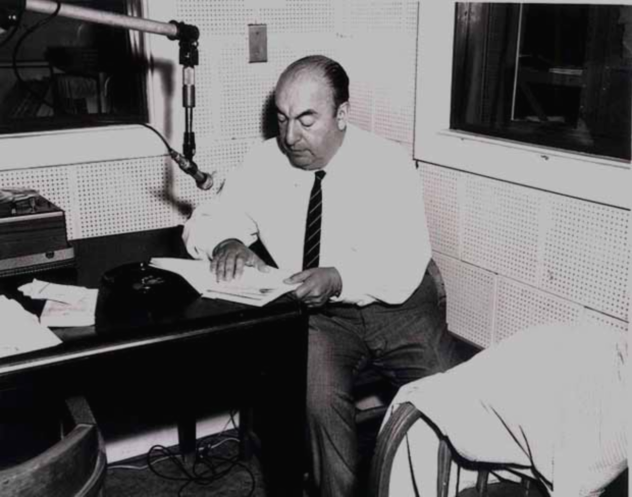 Twelve days after the coup, Neruda died in a hospital, his death being attributed to the cancer. There were allegations that he was poisoned, especially after it became known that he called a friend before he died, saying that he felt sick after being given an injection by a tall, blond, blue-eyed doctor called Dr. Price. Dr. Price has never been traced, although a CIA double agent named Michael Townley, who was working for dictator Pinochet’s regime, has been strongly suspected. Harmutt Hopp, a German doctor with Nazi ties, has also been accused, along with a Pinochet collaborator named Manfred Jurgensen. Neruda’s body was exhumed in 2013. No trace of poison was found, but a new investigation announced by the Chilean government in 2015 will again examine Neruda’s remains for anything unnatural. Arthur Cravan was a flamboyant, larger-than-life Swiss poet admired by the Dadaists and Surrealists. He worked hard to cultivate a public image of a shocking, unconventional libertine by being routinely drunk, pulling his pants down in public, fighting a world champion boxer, and infuriating fellow artists and poets with his critical magazine Maintenant! The poet Guillaume Apollinaire once challenged him to a duel after Cravan criticized a self-portrait by his lover, Marie Laurencin. Cravan’s life is a bit hard to document; he used many different names, forged passports, and once claimed himself a “citizen of 20 countries.” What can be certain is that he was born Fabian Avenarius Lloyd in Lausanne, Switzerland, on May 22, 1887, the son of Otto Holland Lloyd, the brother-in-law of Oscar Wilde. From 1903–17, he traveled across the world, living in Berlin, Paris, and Barcelona before he fled to New York to avoid being drafted into World War I. Arriving penniless, he spent his first few months drinking and sleeping in a public park, until he gained notoriety for giving a drunken speech at the Premier Exhibition of the Society of Independent Artists, which ended in the police being called after Cravan undressed and swore at the audience. It wasn’t long before Cravan moved on to Mexico City, where he founded a boxing school and married the English poet Mina Loy in 1918. From the Mexican coast, the couple planned to make a trip to Buenos Aires but could only afford a boat ticket for one of them. Loy took the ticket, and Cravan decided to make the journey by himself on a small fishing boat. Loy waited and waited for her husband in Argentina, but he never arrived. 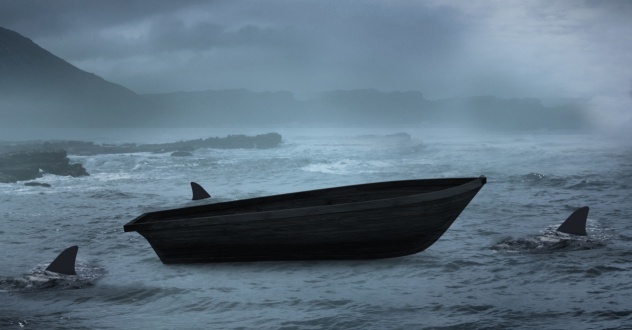 Because a storm broke out over the days he was assumed to be sailing, it’s possible that he capsized and drowned. Others theorize, since his body was never found, that Cravan had grown bored of married life and faked his death. He was supposedly spotted in New York, Paris, and Amsterdam during the 1920s, living under the names of Dorian Hope and Sebastian Hope, publishing plagiarized poetry and forged Oscar Wilde manuscripts. Idolized as Hungary’s greatest poet, Sandor Petofi was a nationalist and revolutionary instrumental in the Hungarian Revolution of 1848, a failed revolt that tried to break Hungary free from its Austrian rulers of the time. His poems were typically about nature, love, family, everyday life, and especially patriotism. Petofi started writing poetry at an early age, and when he was 15, he won first prize in a poetry contest. His youth, however, was a troubled one, with his family experiencing financial difficulties and Petofi doing very poorly in school. When he was 16, Petofi left his eighth school and spent the next few years working a number of different jobs, including as a soldier and actor. 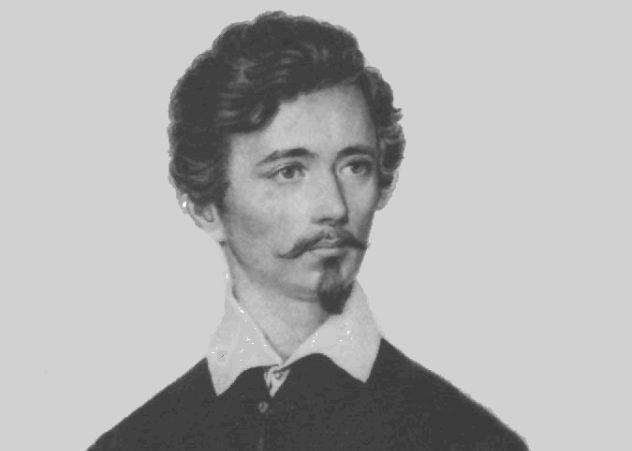 In 1844, he met Mihaly Vorosmarty, then Hungary’s best-known poet. With Vorosmarty’s help, he published his first volume of poetry, which brought him instant fame and success. Over the next four years, Petofi became increasingly political, running unsuccessfully for a seat on the Diet, denouncing the abuses of the Austrian monarchy, and taking up the cause of Hungarian independence. The widespread dissemination of his poem “National Day” and 12-Points declaration (a list of demands of the young Hungarian revolutionaries) moved the Hungarians to action, and Petofi joined the army involved in the Hungarian Revolution from the outset in 1848. On July 31, 1849, during the Battle of Segesvar, Petofi disappeared. It’s believed that he died in the fighting, but his body was never recovered. While he likely might have been buried in a mass grave, others insist that he was captured by Austria’s Russian allies and died as a prisoner in Siberia. 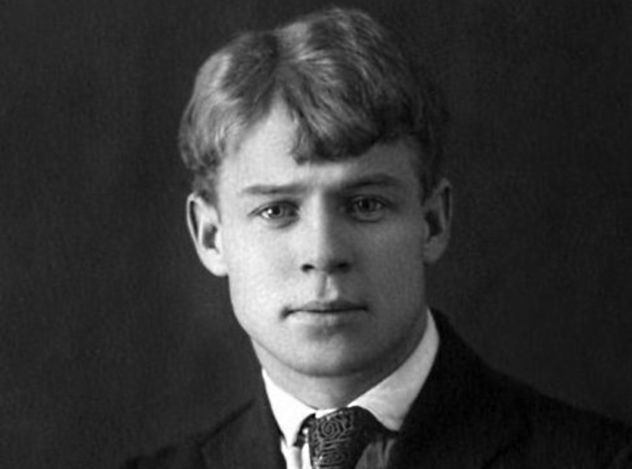 Sergei Yesenin was a rowdy, drunken Russian poet as well-known for his wild behavior as his verse. The son of peasants, he left his village and moved to Moscow when he was 17. Inspired by Russian folklore and peasant culture, his first collection of poems, Ritual for the Dead, was published in 1916. Initially, he supported the Bolshevik Revolution but soon became disillusioned. In 1921, he published Confessions of a Hooligan, which marked a change to a more cynical, decadent style. The next year, he married for the first time to an American dancer named Isadora Duncan. Yesenin followed her on a European tour, with the international press taking much note of the couple’s constant bickering and Yesenin’s drunken furies, which inspired him to trash many of the expensive hotel rooms they stayed in. After they separated, Yesenin became more depressed, especially after returning to his village to see his old friends and neighbors wrapped up in the ideals of the revolution. Feeling as though he had betrayed the ordinary people, Yesenin tried making amends by writing poems in praise of the new government, but this didn’t make him feel any better. In December 1925, after being hospitalized for a nervous breakdown, he went on a two-day drinking spree and then checked into a Leningrad hotel. He slashed his wrists there, using the blood to write his final poem, and then hanged himself. Yesenin’s death inspired several copycat suicides. He was extraordinarily popular during his lifetime, and even after the government banned his work following his death, his work remained popular. Because the communist authorities disliked him so much for his individualism and wild antics, some theorize that the secret police assassinated him. A subsequent novel, Yesenin, and a TV adaptation have further popularized this conspiracy theory. Despite this harsh rebuke, Mayakovsky would go on to commit suicide five years later, also under mysterious circumstances. 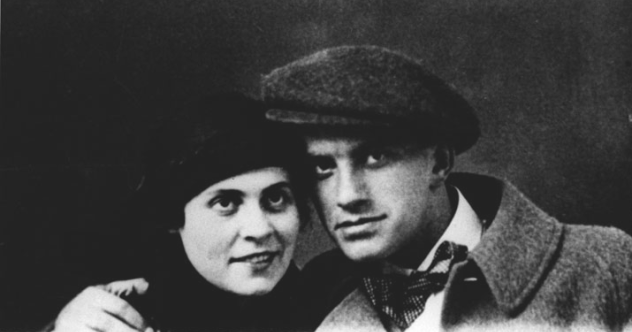 On April 14, 1930, Mayakovsky’s girlfriend, Veronika Polonskaya, had just stepped out of his apartment after a big argument with him. She heard a gunshot and then ran back inside to find him lying on the ground with blood all over his shirt. He had shot himself in the heart. An ambulance was called for, but he died before it arrived. He was 37 years old. By the time of his suicide, Mayakosvky was deeply depressed and felt unbearably alienated after devoting his life to a cause he no longer belonged in. His last plays, two satirical pieces, were critical of the government and panned by loyal critics. A few days before his suicide, during a lecture at the University of Moscow, he was booed and attacked. To add to his misery, his girlfriend, a married woman, refused to leave her husband. According to the official account, this was the last straw for Mayakovsky. The mystic poet Shams Tabrizi, while obscure to those unfamiliar with Persian literature, was the teacher of Rumi, one of the best-selling poets in the world. On November 15, 1244, Shams was walking through the city of Konya (in modern-day Turkey) when he stopped and noticed Rumi in the middle of a marketplace. Immediately, Shams asked him, “Who is greater, the prophet Muhammad or the great teacher Betsami?” Rumi, of course, answered that Muhammad was greater. Shams then asked another question: “Betsami said ‘I am great because God is within me,’ whereas Muhammad said, ‘God is great in His infinite mercy.’ How would you explain this?” Rumi was so startled by this question that he fell to his knees. Although a great religious scholar, he had never really considered the properties and vastness of God. Rumi was captivated by Shams, and for the next three years, the pair were inseparable. Rumi’s students, however, became jealous of Shams; they were worried about the influence he was exerting on their teacher. In December 1247, Shams suddenly vanished. Varying accounts exist of what happened to him. Some say he was murdered by Rumi’s son and students. The scholar Aflaki writes that he was killed by his enemies, either thrown into a well or ambushed by a group of seven unknown men, who stabbed him to death. Rumi was devastated by Sham’s disappearance. Hearing rumors that Shams had fled to Damascus, he traveled there and found no trace of him. In his intense grief and love, Rumi composed a collection of 40,000 verses called The Works of Shams Tabrizi, considered one of the greatest masterpieces of Persian literature. 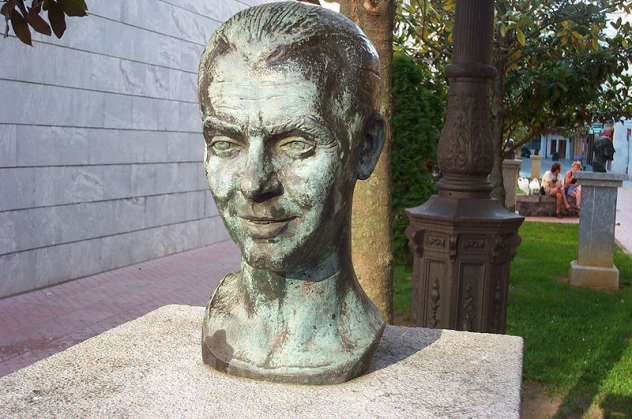 Federico Garcia Lorca was a Spanish poet and playwright known for his surreal, folk-inspired style. He was born on June 5, 1898, near Granada in the small town of Fuente Vaqueros. In 1919, he moved to Madrid, where he made a number of popular friends, including Luis Bunuel and Salvador Dali. He dropped out of university to focus on his art, staging his first play in 1920 and publishing his first collection of poems the following year. His breakthrough came in 1928 with Gypsy Ballads, a massively popular set of poems, which went through seven printings over the next decade. He then spent about a year in New York City, returning to Spain after the country re-established itself as a republic. Working for a government-funded traveling theater troupe called La Barraca, Garcia Lorca wrote and performed the three great tragedies of his Trilogy of Blood plays: Blood Wedding (1933), Yerma (1934), and The House of Bernarda Alba (1936). However, in April 2015, Franco-era documents were released that admitted to the government’s involvement. Previously, Garcia Lorca was thought to have been killed by a firing squad with three other men, but the leaked documents instead claim that he was immediately executed and buried in a shallow grave after a confession. What was said in his confession is not known; his crimes might have been being gay and a leftist. Where exactly his body lies is still unknown. All attempts to find his remains have resulted in nothing. A highly productive playwright, writer, and political activist throughout his life, Maxim (or Maksim) Gorky has often been hailed as “the greatest ‘proletarian’ in Russian literature.” Best-known for his 1902 play The Lower Depths, Gorky is famous throughout the world for his touching portraits of outcasts, the poor, and other members of the bottom strata of society. Gorky, whose name meant “bitter,” was born as Alexei Maximovich Peshkov, on March 28, 1868. Peshkov’s father died when he was five years old, and after his mother remarried, he was sent off to live with his maternal grandparents. Although his grandmother was very loving, his grandfather was a cruel and abusive man whom the young Peshkov greatly feared. When his grandfather’s dye shop began to fail, he had to quit school at age eight and go to work. He ran away from home when he was 12, spending his teenage years wandering around Russia and performing small jobs. After a suicide attempt in 1889, he turned to writing under his pseudonym and attracted national attention over the next decade for his powerful, realistic short stories. Gorky was an ardent revolutionary and Marxist and frequently came under the eye of the czar’s government. 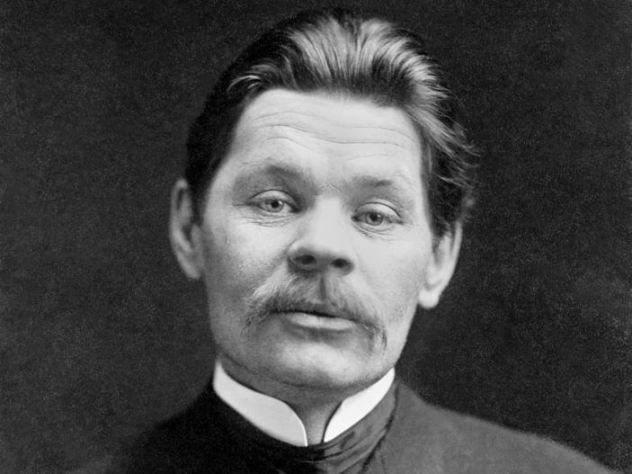 After being briefly jailed for his role in the Russian Revolution of 1905, Gorky left the country for seven years, not being allowed back until 1913. Four years later, after Vladimir Lenin seized power, he became vocally disillusioned with the Bolsheviks and was again forced into exile from 1918–28. Afterward, he paid the Soviet Union several visits until he returned permanently in 1932 to great acclaim. Despite his criticism of Stalin during his period abroad, Gorky spent the next few years politically quiet, being banned from foreign travel in 1933 and becoming the leader of the Union of Soviet Writers the next year. 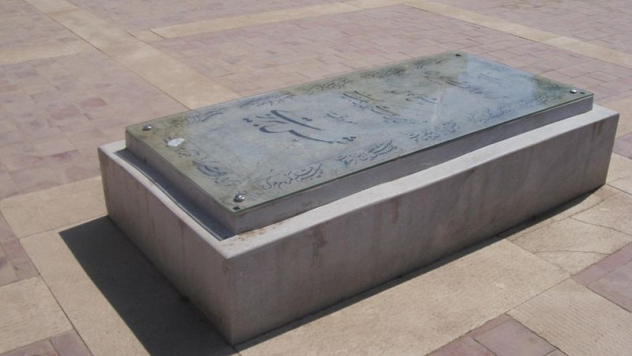 In 1936, at the age of 68, he suddenly died while undergoing medical treatment. Rumors spread that Stalin ordered his death, and a 1936 trial for the revolutionary Nikolay Bukharin claimed that he had been poisoned by a “Bloc of Rightists and Trotskyites.” One of the defendants, a police chief named Genrikh Yagoda, later confessed to having been ordered by Stalin to kill the great writer. Solomon Northup was an African-American farmer and musician who wrote the 1853 memoir 12 Years a Slave, the source material of the highly acclaimed Steve McQueen movie of the same name. Born in 1808 in Minerva, New York, to a free man, Northup spent his youth working on his father’s farm, reading books, and playing the violin. He married Anne Hampton in 1829 and had three children with her. The family got along pretty well financially, with Anne working at one of the community’s biggest hotels and Northup working as a popular musician. In 1841, two white men claiming to be part of a circus offered Northup money to play for several of their performances and managed to convince him to head south to Washington, DC, with them. Once in Washington, the men drugged Northup and sold him into slavery. 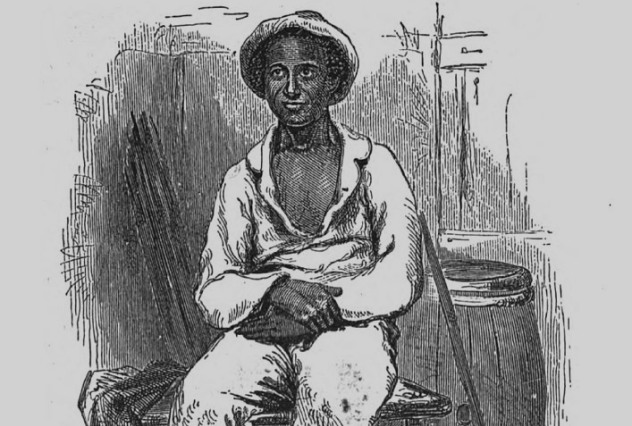 Northup suffered 12 brutal years on a plantation in Louisiana until a lawyer was able to prove that he was a free man. Once released, Northup published his famous memoir the same year, and became active in the abolitionist movement. Around 1863, however, Northup vanishes from the historical record. No death certificate has ever turned up, and cemeteries all over New York have been checked to no avail. Historians simply have no idea what happened to him. After Northup disappeared, a relative of his said in a letter that, “We believe that he was kidnapped or killed, or both.” The idea that he was kidnapped again has largely been dismissed, since he would have been too old to have been very profitable. The possibility that he was murdered by his old kidnappers is doubtful, too. Northup might instead have just dropped out of public sight, going off to live with one of his daughters or sinking into poverty and obscurity. Still, others like author David Fiske suggest that he reinvented his identity and moved to California. Tristan Shaw is a lover of mysteries and literature who really does wonder what happened to his favorite American writer, Ambrose Bierce?